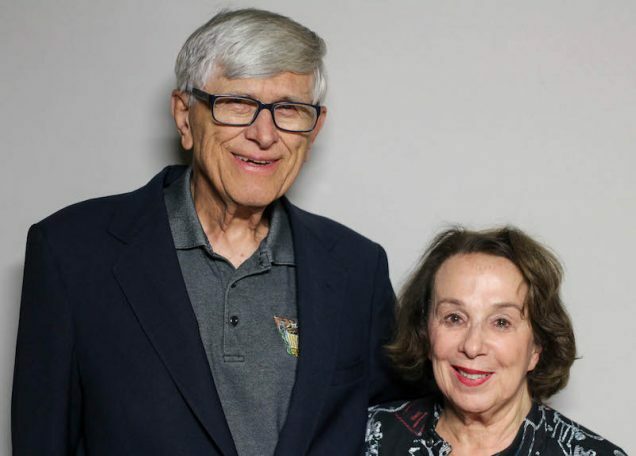 At StoryCorps, Kay sat down with her husband, Cy Massar, to remember what she did next. Top and middle photos: Kay “Tubby” Johnston in her King’s Dairy Little League team uniform in 1950. Courtesy of Kay Johnston Massar. Bottom photo: Cy Massar and Kay Johnston Massar at their StoryCorps interview in San Francisco. Originally aired March 30, 2018, on NPR’s Morning Edition. KJM: One day, my mother was braiding my hair. We were sitting at the kitchen table and my brother walked out the door with his baseball bat — he was going to practice. I started crying and I said to my mother, ’I’m just as good as him. I wish I could play.’ So she said, ’Why don’t you just go and try out?’ And I said, ’Okay, well cut off my braids.’ And she did. So I ran into my brother’s room, got a pair of his slacks, put on a baseball cap and signed up as Tubby Johnston. CM: When you found out you made the team, were you surprised that they called you? KJM: No, I wasn’t surprised at all. I knew I was good and I had fooled them so far. But I was scared, of course, that they might find out and tell me I couldn’t play. So after several practices, I talked to the coach. His reaction was, ’You’re such a good player and we’re going to use you at first base.’ I played the entire season. It was an absolutely thrilling time. CM: The kids on the team you played with, how did they treat you? KJM: When they found out I was a girl, the team treated me fine. It was the other players that would push me down or call me names. And the parents initially booed when I went out to play. They could see that I was a better player than some of their sons. After the season was over with, my dad went to a meeting with some Little League officials. 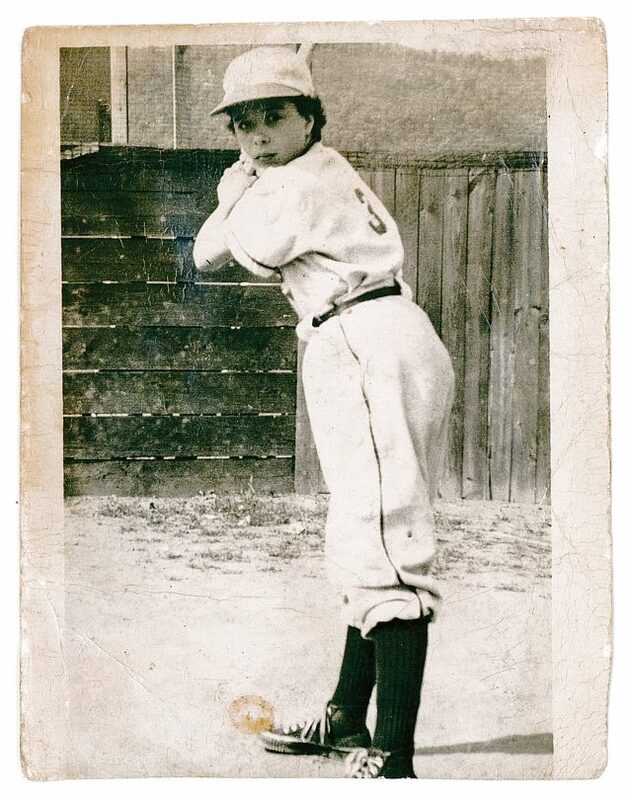 And, um, when he came home, I said, ’How did the meeting go, Dad?’ And he said, ’Well, no girls, under any circumstances, will be playing Little League baseball.’ And it’s known as the Tubby Rule because I was the reason why they put that rule in. CM: What gave you the courage to do what you did? KJM: You know, I have to tell you, when I went out pretending to be a boy I had no idea I was setting some sort of a record. That was the furthest thing from my mind. I just wanted to play the game. I played Little League just that one year but I will probably love baseball until the day I die.